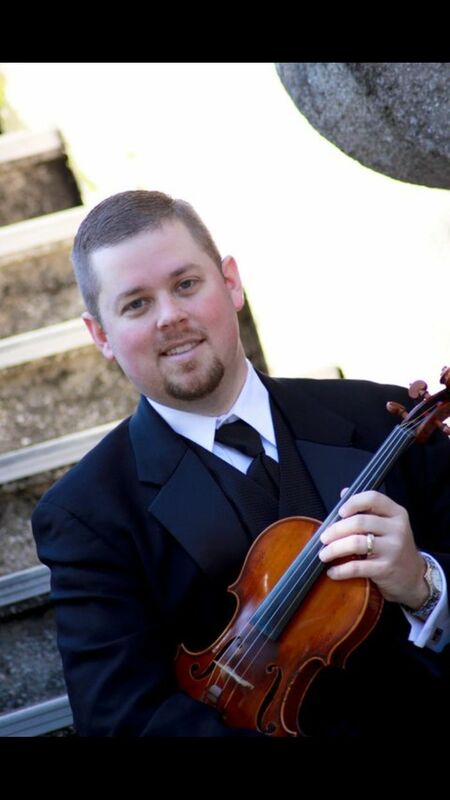 Violinist Kyle Wehner has played the violin and viola for more than 30 years, with over 25 years spent performing at various types of wedding ceremonies and ensembles. Upon receiving a bachelor’s degree from the University of Cincinnati’s College Conservatory of Music in 2000, Wehner returned to his native Florida to run the family business Wehner’s School of the Arts, a music and dance school serving more than 450 students per week. Wehner has performed with countless ensembles, including the Jacksonville Symphony Orchestra, Mannheim Steamroller, Richmond Symphony of Indiana, Coastal Symphony of Georgia, and the Trans-Siberian Orchestra. Wehner has also performed with star singers and songwriters such as Josh Groban, Il Volo, ELO, Kansas, Little River Band, Styx, Alan Parsons, Bernadette Peters, Aretha Franklin, Michael W. Smith, Seal, Kelly Clarkson, Ruben Studdard, Keith Urban, Nina Whittaker, Johnny Mathis, Natalie Merchant, The Tenors, Celtic Thunder, Ne Yo, Adam Levine, Jackie Evancho, Sting and David Foster. Wehner has also played on the Broadway tours of Peter Pan, The Producers, Annie, Chicago, The Lion King, Spamalot, Fiddler on the Roof, Westside Story, Motown The Musical, The Book of Mormon, The Little Mermaid, and Phantom of the Opera. Wehner and his quartet performed for Oprah Winfrey on the set of Lovetown USA, which aired on the OWN Network in the summer of 2012. In January of 2017, the Wehner Weddings String Trio provided the musical backdrop for a wedding that included President Barack Obama as the best man and Secretary of State John Kerry as the officiant. Wehner and his musicians are featured in the 2017 and 2018 seasons of "Disney's Fairytale Weddings" which airs on Freeform. Utilizing a wealth of experience, Wehner is capable of playing a wide variety of music to cater to all kinds of ceremonies and events. Browse our sample music and allow us to help make indelible memories at your wedding. Wehner Weddings performed with The Tenors for the 2017 Disney Holiday Special, "Disney's Fairytale Weddings, Holiday Magic!"